Regulation size tables go all the way up to 8 feet in length and most home models are designed between 6-7. This 5 foot table is designed smaller to be suitable for children. Harvil makes a solid model that can be used for your kids and comes equipped with many nice features. It includes reinforced legs with connected panels for extra support. The thick MDF wood won't warp or twist like the cheaper particle board tables and the adjustable levelers make it easy to get a level surface on uneven flooring. 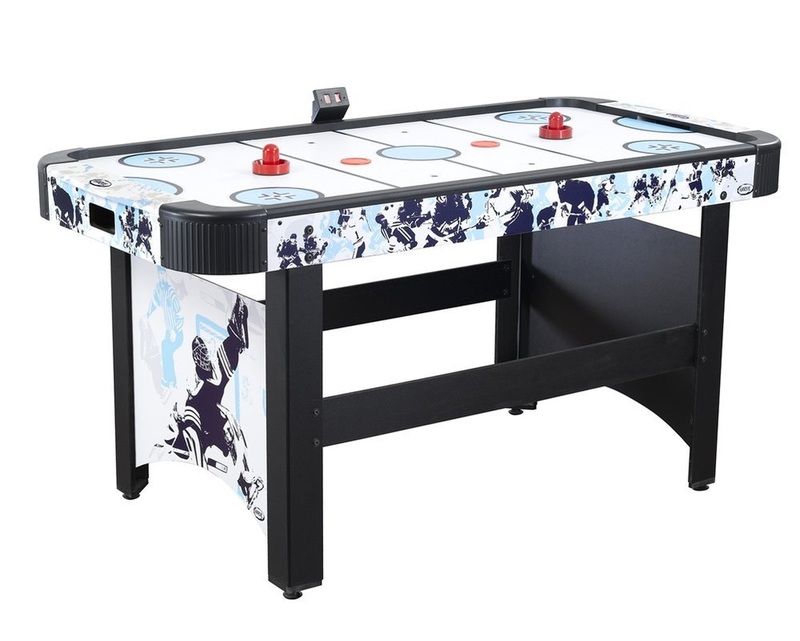 Also included is an electronic scoring system easily keeps track of who's winning and comes with 2 strikers and 2 pucks. This table is rated a 2 out of 5 stars. This table is priced at about $260 US.